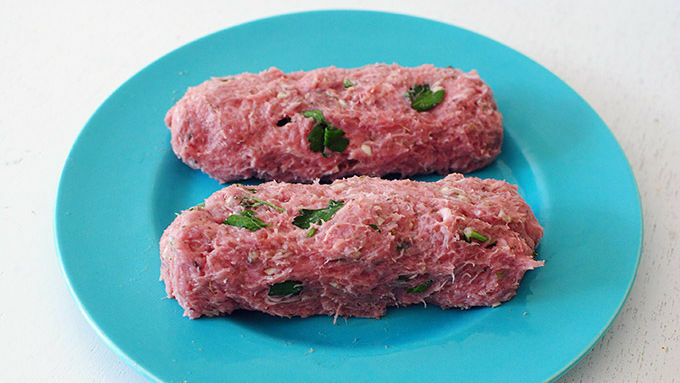 In a medium bowl, combine the ground turkey, parsley, garlic, Italian seasoning and salt and pepper. Using your hands, form meat into two elongated burger loaves. If you have the time, let sit on a covered plate in the refrigerator for two hours to allow flavors to mingle. Preheat the oven to 350°F. 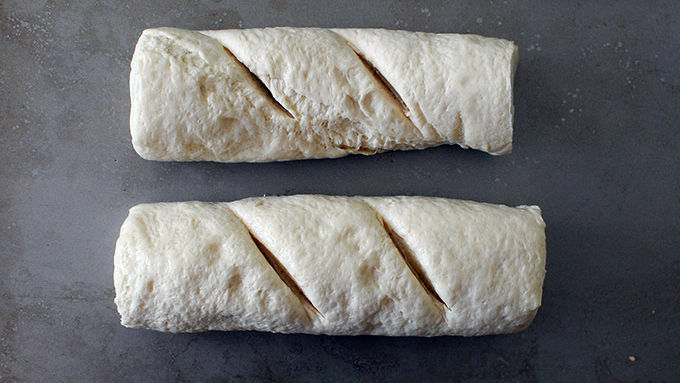 Remove the French bread from the tube and cut it in half, crosswise. Place the two halves on an ungreased baking sheet and bake for 25 minutes or until the bread is baked all the way through. Cool slightly and slice in half lengthwise. 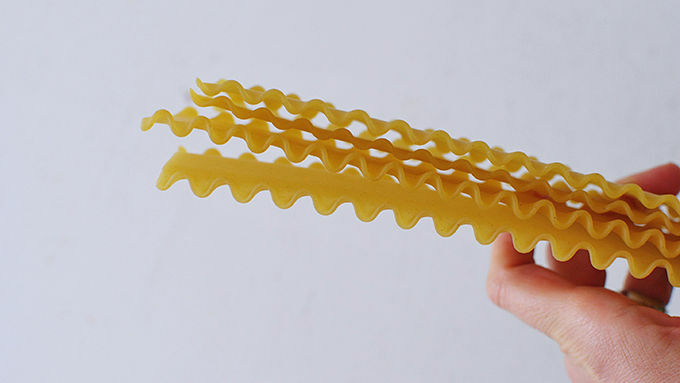 In the meantime, boil the lasagna noodles until tender and transfer to a plate to rest. On a grill (or in a skillet with a teaspoon of oil), sear the burgers all over until browned and cooked through. Place the cheese on top of the burgers and cover to melt the cheese. Heat the Muir Glen sauce in a small saucepan until heated through. Place one lasagna noodle on the bottom half of the bread, followed by the cheesy burgers. Spoon the marinara over the cheesy burgers and place another lasagna noodle on top. Garnish with lettuce greens and cover with the top half of the bread. Serve immediately. After adding the cheese, you can broil to speed up the melting process on the burger. Have a cup of marinara on the side to dip the burger in. Italian food plus cheesy burgers plus French bread. Amen. This is definitely going to freak you out. In a happy-happy-joy-joy way. A giddy pants way. A write-home-about-it way. It's an Italian-style seasoned turkey burger, all grilled or seared or whatever you want to do, smothered in mozzarella cheese, and then smothered again in tomato sauce. IN BETWEEN TWO LASAGNA NOODLES. The curly kind. The old-school kind. And then get this; it's all sandwiched between some straight-from-the-oven baked French bread. Am I kidding? No, I'm not. I didn't come up with this genius creation, sad to say. But when my eyes fell upon Nick's version on Dude Foods, I went into a happy coma. What you'll do is bake that bread, sear the meat, melt the cheese on it, heat some Muir Glen tomato sauce and put it all together! Layer layer layer. 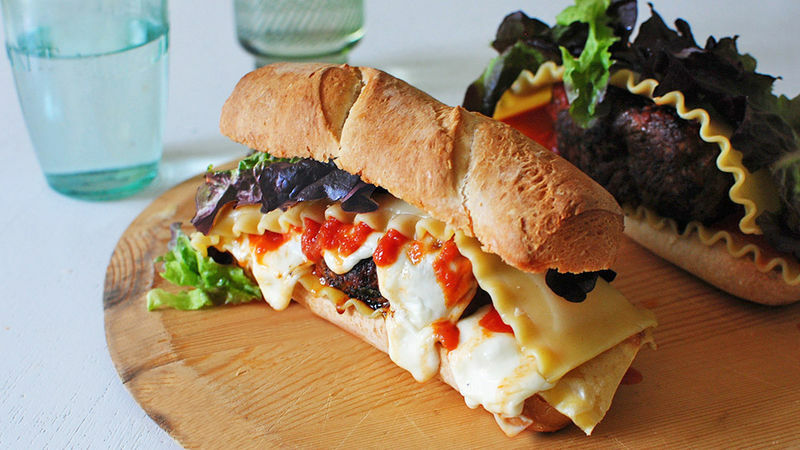 A freaking lasagna burger. I mean what. My work here is done.